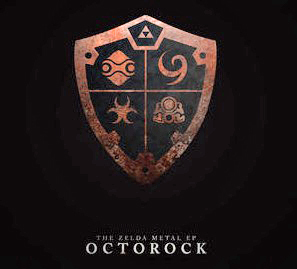 Selections from Ocarina of Time, Majora's Mask, Wind Waker, and Skyward Sword get the metal treatment from guitarist and producer Joel Kent. "I've been a huge Zelda nerd for as long as I've been able to hold a controller," reflects arranger Joel Kent, "And I still remember my first experience with the series: watching the full moon rise over Hyrule Field during the opening cinematic of Ocarina of Time. When I start up the game and hear those opening chords it still gives me chills and probably always will. Journeying through the various titles in the series to Koji Kondo's melodies had as much an impression on me growing up as listening to my Dad's classic rock albums."